If there is one thing to be said about most car and bike enthusiasts it is that more often than not they can create some of the most interesting and badass custom bikes on the road. Sure, stock bikes are awesome and can provide emmence power from point A to point B, but what if you want unique style, out of this world performance and something that really turn heads. 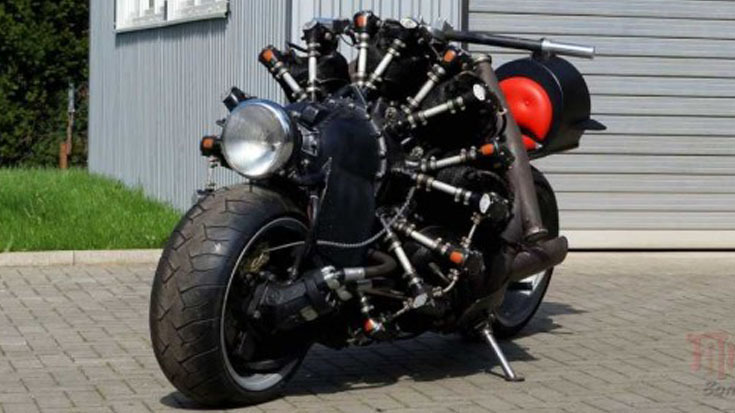 In this video we check out one custom built bike that does all of that and it has been dubbed the Project Bomber Bike. 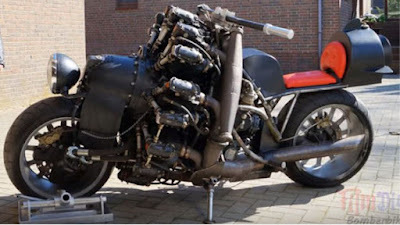 Instead of a traditional engine, or even a V8, this motorcycle features with a massive radial airplane engine. This hot motorcycle is one of the fiercest own bikes we’ve ever seen, and the sound is almost deafening. Check out the video below and see it for yourself.